Few have weathered fashion’s ever-changing landscape quite so well as Chris Moore. The 84-year-old Geordie, still working today, may not have set the trends – but he’s been capturing them boldly for over six decades. 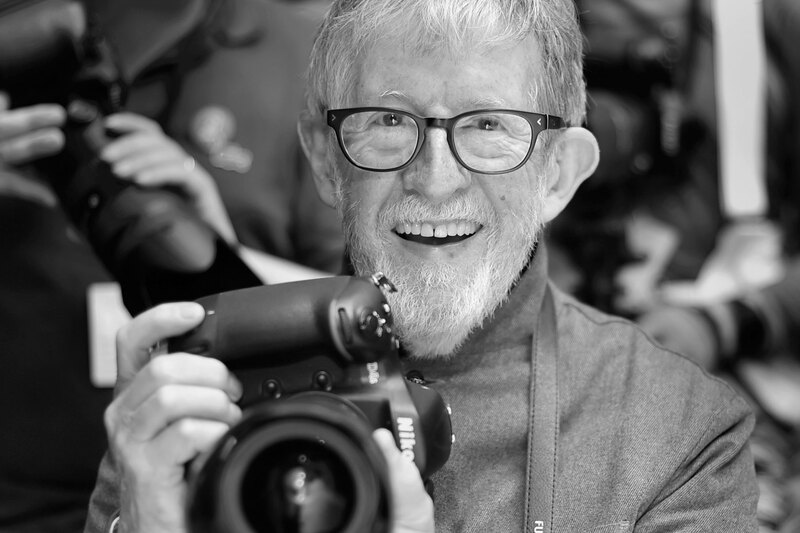 His photographs are some of the most iconic in the industry, from the birth of the first ever ready-to-wear collections in 1960s Paris to the rise of the supermodels in the mid-nineties. Little remains of the industry he started out in, as a fresh-faced 20-year-old at Vogue’s in-house studio. The year was 1954, and catwalks hadn’t even been invented. Haute couture collections were shown in intimate salon presentations, and Parisian fashion houses were less than receptive to the press – particularly photographers, who threatened the exclusivity of their collections. Fast forward over half a century and Moore remains a steadfast fixture in our modern media circus, still setting the industry gold standard amidst a whirl of bloggers, Instagram Stories and live streams. 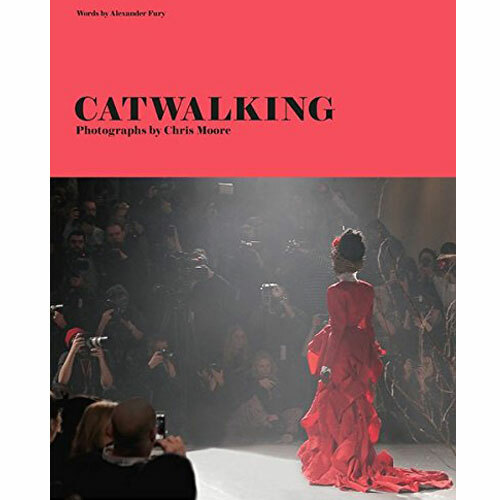 Last year, he released Catwalking: Photography by Chris Moore, a jaw-dropping curation of some of his favourite images, with an introduction and commentary from the New York Times’s Alex Fury. This summer, a block-busting exhibition of the same name opens at the Bowes Museum, County Durham, showcasing the finest imagery in the book alongside the original garments, loaned to the museum by fashion houses from around the world. What better time to get the insider story of six decades of fashion from the undisputed king of the catwalk? Congratulations on CATWALKING. The exhibition showcases 200 photographs from your archive – how involved were you in the curation process and how did you go about selecting which images to include? This all began with the book Catwalking: Photographs by Chris Moore, published by Lawrence King. In the book Alex Fury writes a wonderful account of the history of the catwalks alongside a series of conversations he and I had about it. The book itself is of course picture-led, and the picture selection was narrowed down from a wider selection I have been playing with in my spare moments over the years. The Bowes Museum, and curator Joanna Hashagen, took their inspiration for the exhibition from the book and have formed a new story around the clothes themselves. They have involved many of the great and famous fashion brands who have been excited to be involved and loaned historic and iconic garments that appear in the photographs. It is quite an achievement to be bringing so many high profile fashion brands together to collaborate in one exhibition. I don’t know about anyone else but I am really excited and can’t wait to see it all put together in July. The photographs, when I sift through them, take me back to places and times I may otherwise have forgotten; it is essentially looking through the diary I never wrote. How do you feel when you look back at your earlier photographs – nostalgic? Proud? Self-critical? For those of us press people who cover the main catwalk circuits it is all-consuming on our time, so much so that colleagues and even competitors become friends, and hotels become second homes where the long-standing staff are like family. The photographs, when I sift through them, take me back to places and times I may otherwise have forgotten; it is essentially looking through the diary I never wrote. the clothes, it is how you work a look and project yourself in the clothes that matters; but crucially, that fashion is for anyone who cares to be stylish. What impression did Vogue Studio make on you when you began your career there in 1954? At school I wanted to go on to art school but then when it came to it could not go. Vogue, I realise now, gave me a similar exposure to creative minds. It was also while there that I became aware of style. The people around me were very unconventional, not just in the way they looked, but in their general outlook and attitudes. It must have loosened me up, because before Vogue Studios I had been painfully shy but would in a short space of time be confident enough to set up a studio of my own. How has the industry changed since you started out six decades ago? More aggressive, more serious, less fun, sometimes cruel, but still exciting. When did you first become aware of the rise of the supermodel? 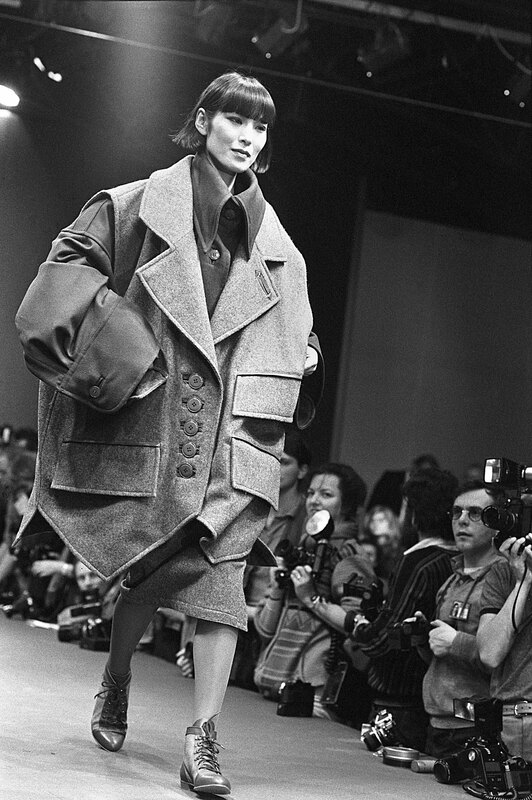 In the early 90s, the buzz was all about dropping the names of this big model or that big model, which model was opening or closing a show. You would hear gossip about a model being paid ten times as much as any other model. When Gianni Versace put on shows in Milan where every model in it was a name, Karl Lagerfeld in Paris responded by doing the same. It seemed to be an expression of importance for a brand to demonstrate which model or how many big models you could get into your show. Soon after I read an article by Marion Hume in The Sunday Times describing Linda Evangelista as a kind of supermodel and bam! It became the fashion buzzword of the decade. What was so special about the supermodel era? Supermodels became a soap story; a kind of fashion celebrity, and the catwalk suddenly became more important to the press, especially in the UK where I had many newspaper clients. 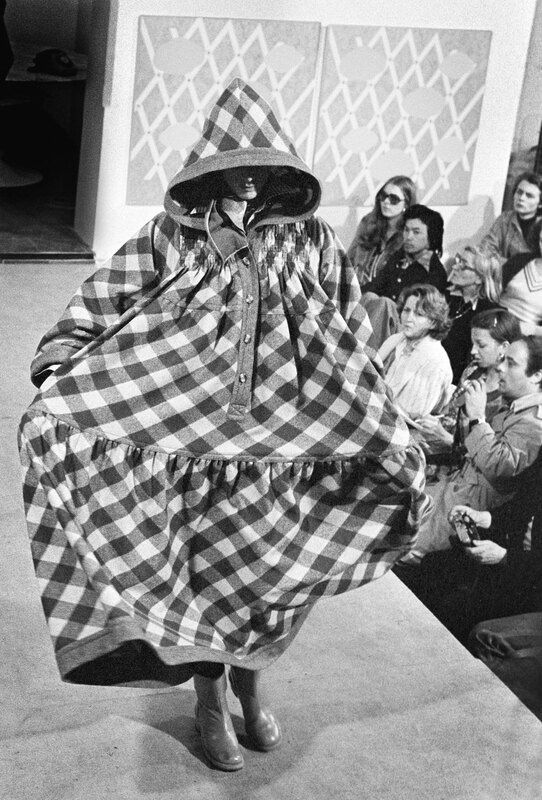 Fashion became front-page news if Linda, Naomi, Cindy or Kate opened a show. The brands were quick to realise that they could achieve free editorial exposure in magazines and newspapers if they had a few supermodels in their show, and the knock-on effect was that they could justify larger budgets for catwalk events. The 90s decade unfolded with the catwalk finally becoming the central axis around which the fashion universe worked. What has been the happiest moment of your career? I already mentioned that I did not make it to university. I was a child evacuee during the upheavals of the Second World War, moving in and out of my parents’ home five times – each homecoming to a new address around London. Consequently my education was a mess. Work was plentiful and I skipped college, which I regretted later. Being recognised late in life by not one but two universities for my contribution to the fashion industry has been very special. I have honorary doctorates awarded to me from the University of the Arts London: London College of Fashion and Northumbria University. I have always enjoyed keeping up with the younger generation and I hope when the whirlwind of the fashion circuits calm down for me they colleges will let me visit for a talk or two. Coming through a few economic recessions was easy street compared to riding the wave of technological changes in photography and communications. The latter just presented a need to change the way we all worked, but the recent culture shock of social media is changing everything so quickly the industry seems not to know how to respond. I expect, like other changes before it, the industry will respond by developing new default positions and the catwalk will go on in a new look arena. Do you have standout pieces, collections and designers, or do you strive to shoot from an impartial perspective? I am always standing on the podium hoping to be thrilled, but more often than not shows can be a bit humdrum. Some presentations I do anticipate, knowing that they will present exciting opportunity for my camera, and on special occasions gift me a wonderful experience for the memory. 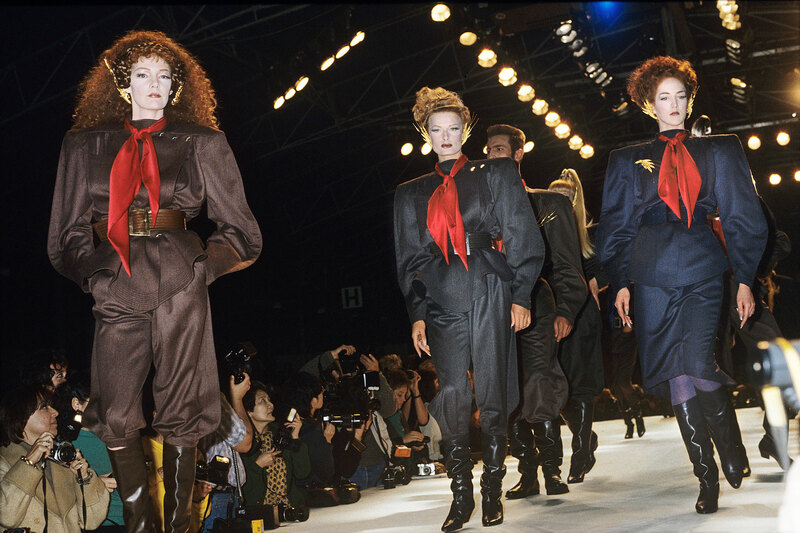 Designers that have delivered consistently in that respect by being risk-takers have been the showmen of the catwalk arena, like Thierry Mugler, Jean Paul Gaultier, Rei Kawakubo, John Galliano, Karl Lagerfeld, Alexander McQueen, Hussein Chalayan, Vivienne Westwood and Miuccia Prada. They all have recognised the importance of delivering their message within an audiovisual experience, a backdrop against which to appreciate the context of the clothes. As a photographer I’m always grateful that they offer something visual and the professional conditions to document it. What makes a great catwalk model? So often the clothes wear the model, but a great model can wear any clothes as if they were made for her. …and what makes a great catwalk photographer? Having the strategy of a politician, the patience of a diplomat, the stamina of an athlete and the skin of a rhinoceros! Circumstances get the better of us all – the important thing in photography is recognising a good thing when you have it. Who never takes a bad photograph? Circumstances get the better of us all – the important thing in photography is recognising a good thing when you have it. You can strategise your position and timing but so many good things have also come out as much from fate as anything. A moment can just present itself without signal and instinct takes over. I have encouraged all my assistants over the years to let go a bit, not think it through too much – the moment is fleeting and lost if you worry too much about the technical stuff. Who (or what) has really excited you in recent seasons? I have seen so many fashion shows and seen a host of designers shine and fade, these days it takes a real maverick to make a lasting impression on me. Thom Browne is someone who seems fearless in doing exactly what he wants; Noir Kei Ninomiya of the Comme des Garçons fashion house is doing interesting fashion and showing it stripped of all the usual trimmings, just naked white walls without music – he’s not the first to do this but it takes a certain confidence and strength to put yourself out there like that. Most recently I enjoyed very much going late one evening during London Fashion Week Men to Tottenham Market in London, where Martine Rose had taken over the indoor space between the shops using the corridors as a catwalk. I thought it was brilliant, a stroke of genius and the colours all around the market seemed to reflect her season’s palette. I have always liked that about London shows; when budgets are small, inspiration can be great. What was it like receiving your special recognition award from the BFC in 2014? I am so not used to being in the spotlight, I have spent my life up on a podium watching others. Getting an award was as joyous as it was unexpected. I am hopeless with speeches so it was lovely that Suzy Menkes, whom I had worked with over many years at the International Herald Tribune, said a few words to introduce my award. The problem with a special recognition award is that people are thereafter surprised to still see you around! Retirement is not something I like to contemplate but at 84 I imagine it may be knocking on my door soon. 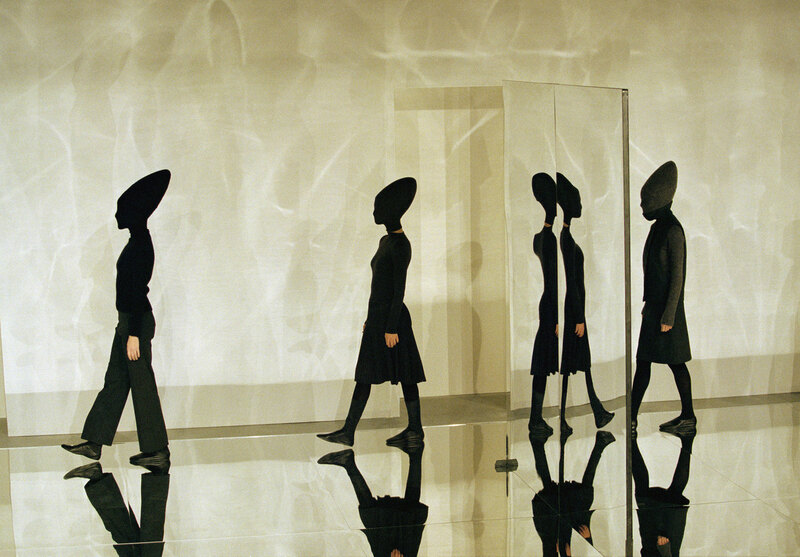 How do you think the fashion world – particularly catwalk culture – will look in another ten years’ time? You know, I have heard so many times that the catwalk is over, or on its way out and of course people have meddled with the format; catwalk, no catwalk, big audience, small audience, live show, video show. But at the core of it all there is still an event and the clothes come out and walk around a space in front of the relevant commentators. I can’t see that changing. Catwalk will never go out of fashion – it is fashion!